1.The blush brush made of black wooden handle. 2.The blush brush made of sliver aluminum. 3.Loads powders easily and distributes evenly. 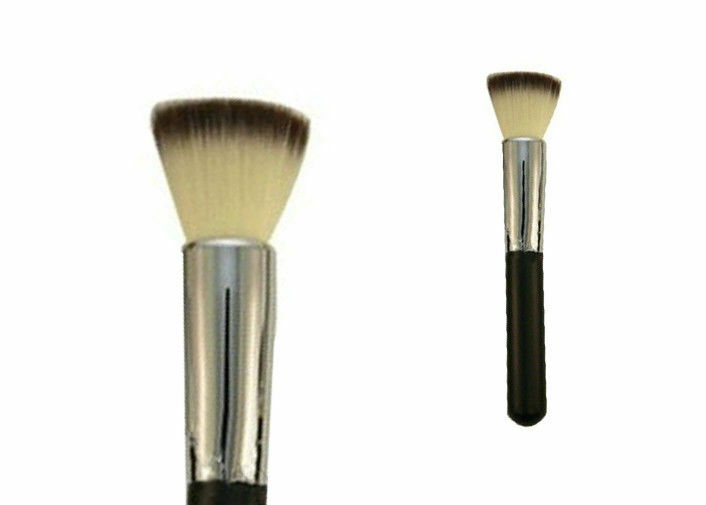 4.With superior-quality nylon hairthe blush brush will not irritate your skin.